When you require a professional security guard service in Melbourne, security concepts services is a security guard company in Melbourne that can provide you with some of the best-licensed security guards in Melbourne, Crowd Control in Melbourne, and deliver a 5-star customer service experience to our clients and patrons. We can also provide security guards for birthday parties, security guard services for private events, major events security guards, loss prevention officers, retail security guards, corporate security services, corporate concierge services, residential security guards services, construction security guards services, council events security services, government event security services, school security services or school security guards in Melbourne. Our security officers hire service are very affordable, and we provide a free quote and risk assessment to all our clients. Security guard hire in Melbourne can be tricky with so many security guards companies to chose from; but how do you know the right security guards services company in Melbourne to select among’st the hundreds of security guards companies in Melbourne-Victoria? -It is simple, and I hope this article may help guide you in the right direction, whether you go with another security guard company or with us in Melbourne. First, the security guards hire company in Melbourne must be Licensed by the Victorian Police; if you are from another state or territory in Australia, they must be licensed by your state or territory police or department of justice. Most security guards companies in Melbourne display their security guards license number on their website. But in case you can not find their license number on their website, then please click this Link, and it will lead you to Licensing Regulation Department of the Victorian Police, and you can do a private security guards company licensed check on the website; type the security guard hire company name on the site and it will show you whether the company is a licensed security guard company in Victoria or not. Then the second most important thing to look out for is whether the security guard company has got public liability insurance, feel free to ask the security guard services provider about the public liability insurance; most professional security guards hire companies have got public liability insurance. If the security guard hire company says ‘ they don’t have public liability insurance,’ I will advise you to not go into business with them, because if anything goes wrong while you hire security guards from them, such company will go south. Perhaps this should have been the second most important questions to ask while shopping for the right professional security guard company; whether the security guards they are providing for your events, site, or business are licensed private security guards? Take note, there’s shonky security ‘ professional guard company,’ who supply security guards that are not licensed by the Victorian Police or your state licensing authority. Ask the potential security guard company if their security guards are all licensed. And if possible you would like a copy of each security guard license, loss prevention officers that they will be deploying to your event, property or business. Then you can check the security guard license number on the Victorian Police website, or with your local security guard licensing authority, the same way you review the security guard company license number. You will verify whether the private security guards license are valid or not. Check the security guard hire company website, google page or any social media page and see what kind of reviews they got. 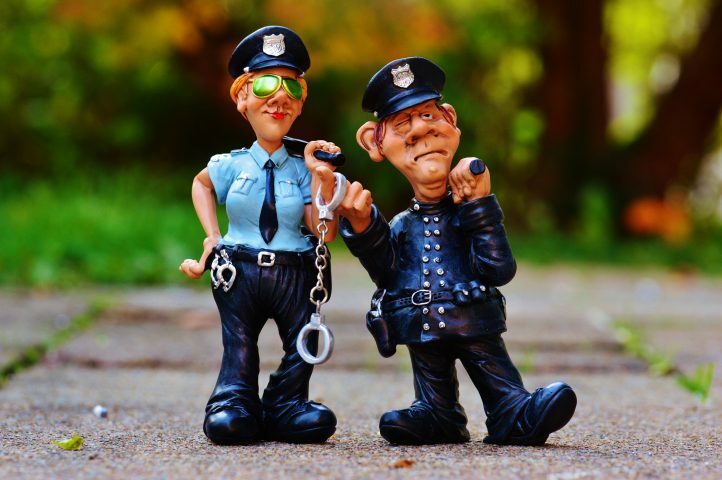 Mind you, there are many good security guards companies in Melbourne, that hardly have any reviews; but it is essential to check if they got reviews, see if the negative outweighs the positive reviews, and then decide whether you want to go with them or not. There are many big security guards companies in Melbourne that have got very terrible reviews, whether by past clients or employees. And there are small and medium size security guards companies that have got very positive reviews. It is important you check these reviews, and sometimes there are some companies that have an outrageous amount of good reviews, that you might suspect some of them to either be paid or was left by a friend or a relative. So do your due diligence check and see if all the dots add up. I will advise you to always go for a professional security guards hire company then go for a labour-hire company that provide security guards. The reason for my recommendation is; you go directly to a reputable and professional security guards company to provide security guards services for your events, or business because most of these companies are run by security management, security supervisors who have got on the ground security guarding experience. They understand how to select the right security guard that will fit in well with the client’s demand. Not every licensed security guard is capable of doing every security guard task or jobs. You can not buy experience or hasten the process to gain it. So, one more time, always hire security guards from a licensed security guard company. They will assign the right guard for your business or event, they will dedicate more time in training the security guards that they supply to you, and they are in a better position to conduct a risk assessment of your event, site or business and tell you the right kind of security guard you will need. Do you own a construction site and you require construction security guards? Are you a principal of a school and you want to hire school security guards? Are you an event organiser and you want to hire event security guards? Do you want to hire birthday party security guards? Or do you require the best Retail Security Guards? Do you want to hire corporate security guards? Look no further and contact security concepts services today|Ph|043-411-4473| |Em|info@securityconcepts.com.au|. Our customer service and security guard approach are amongst the best, and our security guards hire rate is very affordable. Whether you want a short term security guard hire or ongoing security guards hire, we can provide you with the right security guards for your event, the right security guards for your business, the right security guards for your office, the right security guard for your site at a short notice period. We can also act as a third-party security services consultant for your business or event, write a comprehensive report/assessment on what you require or need for your security. Link, School Lockdown in Melbourne. Link, Unprofessional Crowd Controlling approach. We have got other exciting and educative security blog post, to read please follow the Link.